If your company uses HubSpot here’s a quick tip for using smart lists to your advantage. Smart lists are a very powerful tool for lead organisation, but you can also use them to do some quick analysis of growth vs loss. Here’s how we do this at XEN Systems. Goal: We want an overview of our subscriber growth vs unsubscribes over a period of time or for the lifetime of our business. This can help us visualise when things spiked and when things took a fall. Solution: Comparing smart lists in the performance tab. First, let’s find two lists in HubSpot: subscribers and unsubscribes (you might call them something different). You can create a subscriber smart list using lifecycle stages, by including particular form submits or list memberships in an overall subscriber list (or just use the list you use to send out newsletters). You can create an unsubscribed list using the condition ‘Opted out of all email’ is equal to Yes. In one of these lists, switch to the performance tab and choose a date range. Search for the name of your unsubscribe list. The data from both lists should now appear on top of each other. Hover over the graphs to get the actual numbers for each list. Note: we don’t recommend staring at this for hours and manually calculating your growth vs loss. This view simply provides an idea of how your subscribers are growing and how that relates to the subscribers you’re losing. 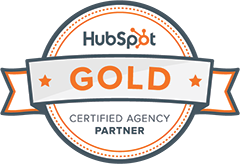 For more detailed information we recommend a tool like databox which will sync with your HubSpot data. This entry was posted in Marketing Manager, HubSpot, Strategy. Bookmark the permalink.